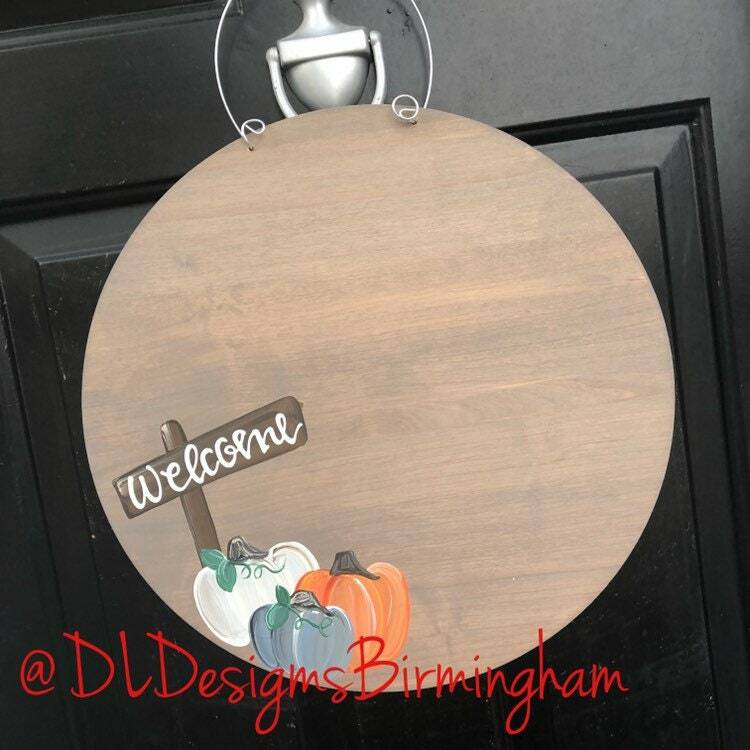 Beautiful hand lettered DOOR HANGER with pumpkin design, last name (or initial), and established date. 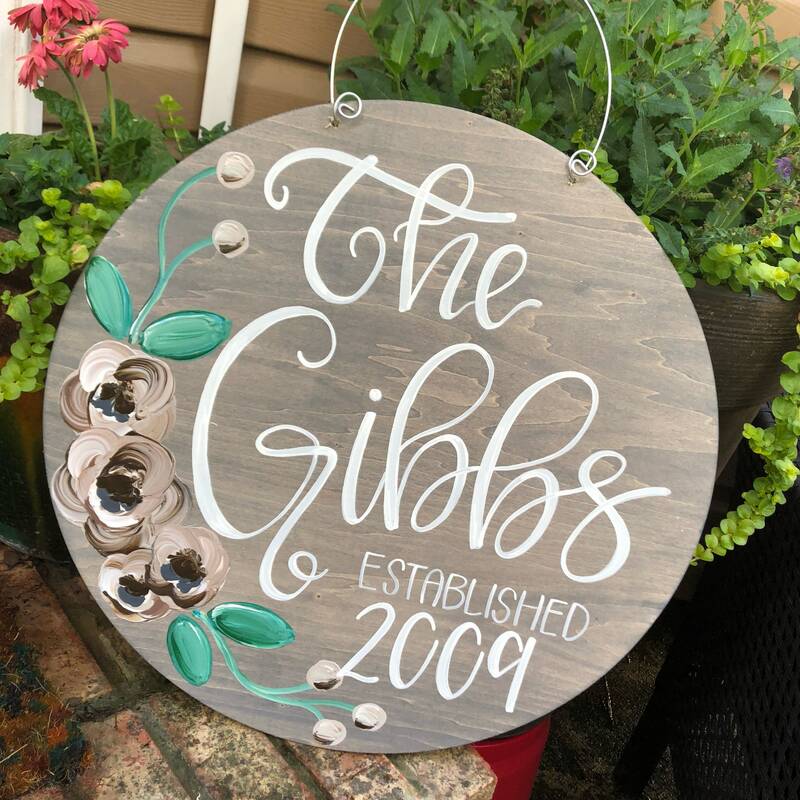 This piece is perfect as a gift for a bridal shower or just for yourself. **floral design is NOT an option. 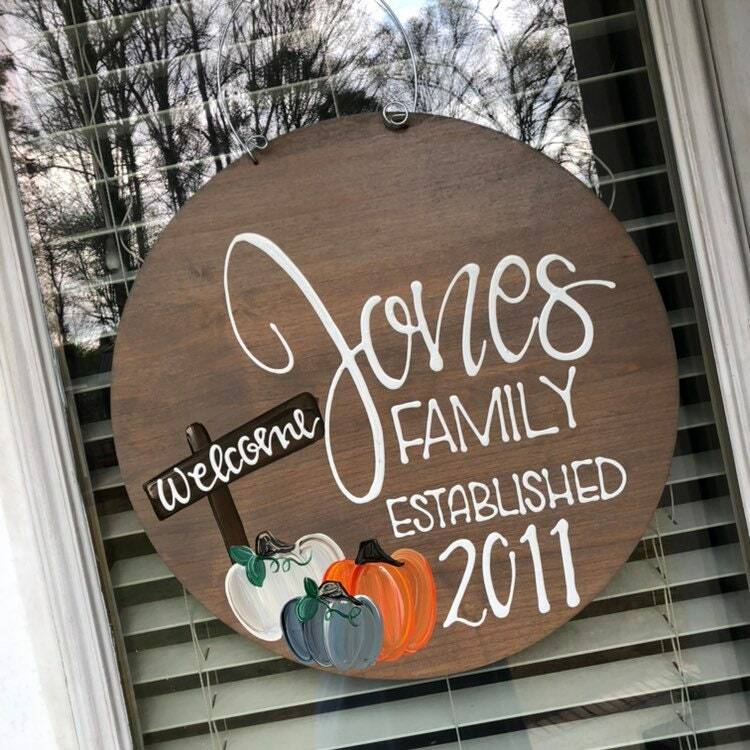 This listing is for the pumpkin design only. Floral design pictured to show possible wording. **** please be sure to include last name and established date in note to seller at the time of purchase.